The Multimin Performance Ready Challenge gives seven Australian farmers the chance to experience first-hand the benefits of Multimin’s trace mineral injection, with assistance from expert mentors. Challengers receive 12 months of free Multimin product and a tailored nutrition program developed by leading industry mentors—and they’ll also be in the running to win an overseas trip tailored to their farming system. With each challenger sharing their program results and experiences online, McConnel has been paying particular attention to how Multimin contributes to increased fertility, immunity, and productivity, supported by expert advice from mentor Dr Matt Ball. 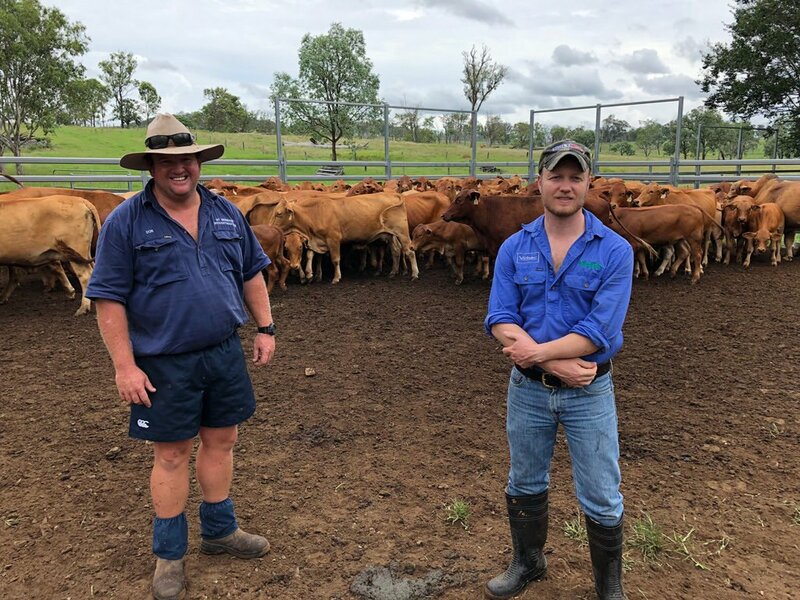 Operating from Mt Brisbane, a 4,500-hectare breeding and fattening operation in the Brisbane Valley, McConnel manages the day-to-day running of his family’s purebred Droughtmaster cattle and stud operation. Following the implementation of improved herd and pasture management, the property has already noticed improvements in pregnancy testing rates. Yet, the addition of strategic trace mineral injections may provide additional productivity improvements. With the inclusion of Multimin for Cattle, McConnel hopes to lift pregnancy test rates above 95 per cent, while also improving compliance rates on steers graded for MSA. Having treated half of his herd of maiden heifers with Multimin Injection for Cattle last month (with the other half acting as the control herd), McConnel has already seen a noticeable difference in the treated animals compared to the control group. “Clean coats indicate good heath, and it was noted that the vast majority of the treated mob had much shinier coats than the control mob,” McConnel said. Interested farmers can sign up for continuing updates on the Multimin Performance Ready Challenge.